My latest afternoon tea was at One Aldwych hotel where I enjoyed a Charlie and the Chocolate Factory inspired afternoon tea. This afternoon tea is perfect for both adults and children of all ages. Upon entering One Aldwych hotel you go via the lobby to the lift where you go up one level to the Indigo restaurant where the afternoon tea is served. 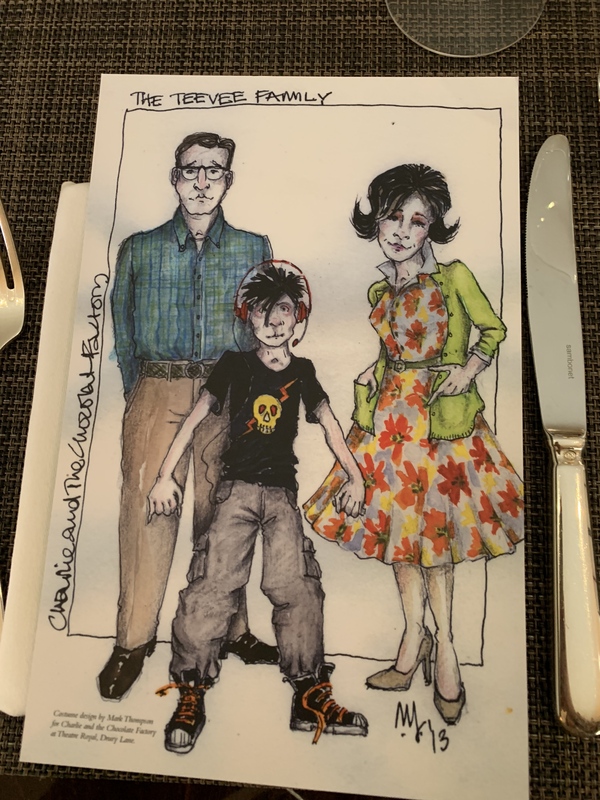 Upon arriving at the restaurant you are taken to your table where you will find menus with a photo of a cartoon family on one size. I opted for mango noir which I found to be very refreshing. If you wish to have more sandwiches once you have finished them you are able to have some more. Both my Mum and I opted to have another coronation chicken sandwich. The sweet treats were delicious and light. If you wish you could have some more but we decided against having anymore. This is an afternoon tea that I would recommend for anyone to visit as it’s so enjoyable. I also found that it was good value for money at £45. This afternoon tea can be booked online.